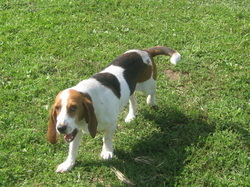 Sam is an AKC registered basset hound. He was used for breeding before coming to the sanctuary. 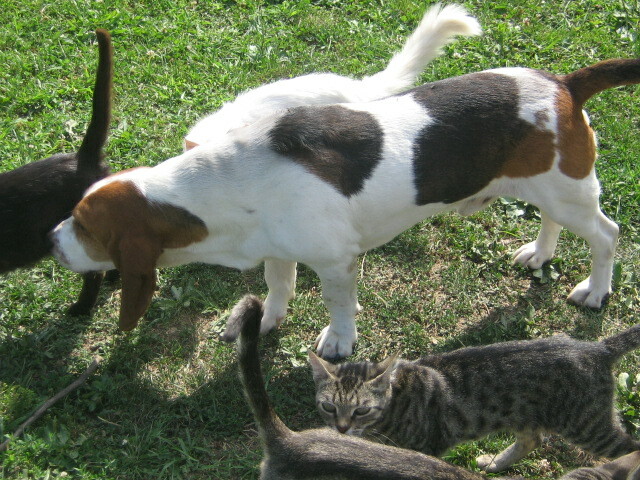 His former owners didn't want him because he was too tall for a basset and passed this trait to his puppies. 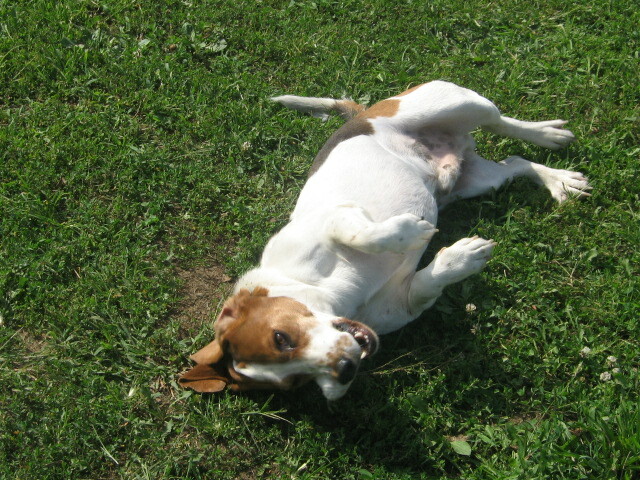 Sam was raised in a kennel and doesn't have very good manners, but he is very loving and playful. Sam also likes to get into mischief, although he knows the things he should not do he does them anyway. So he will remain in the sanctuary. 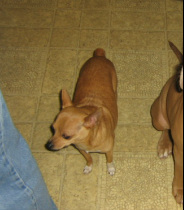 Skittles is a chihuahua. 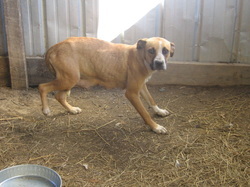 He was left behind in an outdoor kennel in winter when his former owners moved. 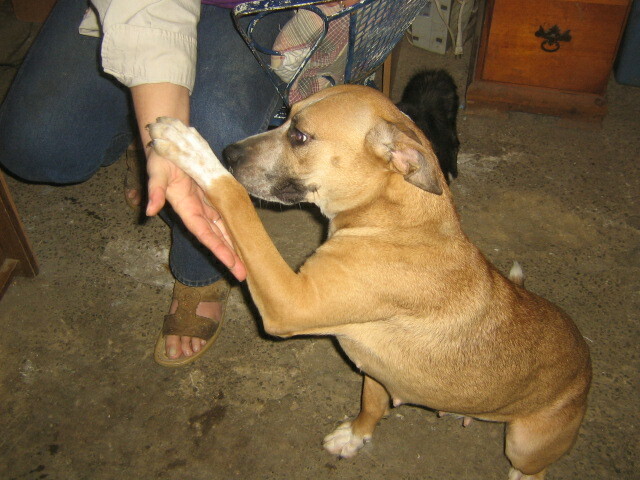 Since coming to the sanctuary he has bonded with Ashley, Pam's daughter. He follows her everywhere and loves to hide in the blankets on her bed. 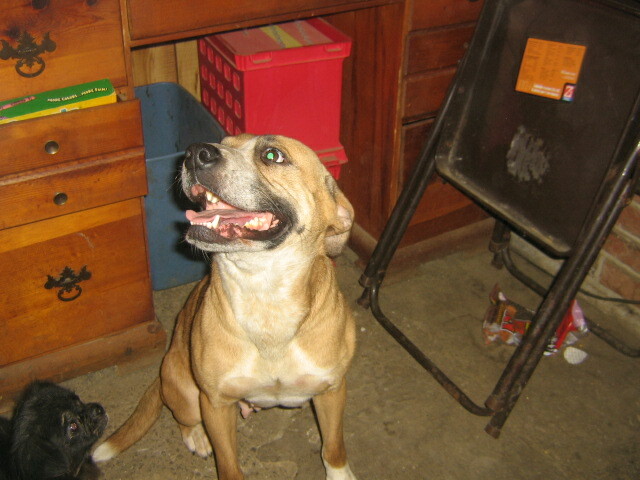 He is approx 10 years old and grieves deeply when Ashley is away for any length of time. Jasmine came to the sanctuary from a very abusive home. She refused to let anyone touch her for a long time. After two years of rehabilitation, she is now very friendly with our family although she is very anxious and has trust issues. We feel it would be detrimental to Jasmine to move her another new environment so she will remain here at Seven Star.